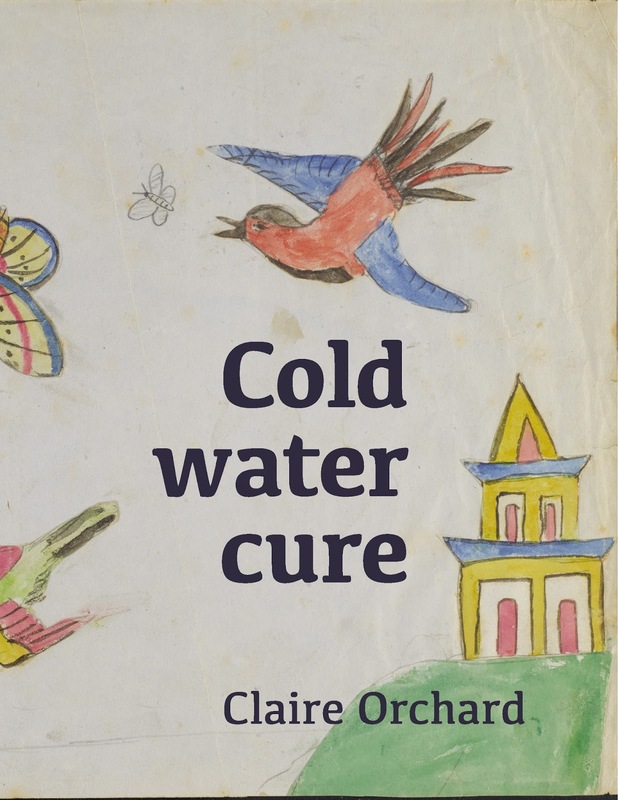 Claire Orchard's debut poetry collection, Cold Water Cure, will be published and launched at our Writers Week publisher's party next week. Ahead of the launch, we asked Claire about her collection and its 'main character' – Charles Darwin. The central part of your book draws its ideas from Charles Darwin’s diaries while on his long exploratory trip on the Beagle, then following the publication of On the Origin of Species. Darwin does offer some fantastic material for a writer (he was himself a good writer), but what was the attraction of his life for you specifically? From my first encounters with Darwin’s writings it was obvious he was a man deeply committed to his many research projects, one who was able to keep his mind open to new understandings, however challenging they were to existing thinking. But for me as a writer the primary attraction became exploring the parallels I detected between the life he was leading in his society then and the one I’m leading now. Of course, he was a gifted and ground-breaking scientist and I’m most definitely not. But he was also a person who, like many of us, spent his down time working on his marriage, on his relationships with friends and extended family, on writing letters and playing games with his children. He was a very hands-on and engaged parent to his – I get exhausted just thinking about this bit – ten children. He does not at all fit the stereotype of a stern, distant Victorian family man. Charles Darwin is a gigantic public figure; I wanted to get past those images of him as Father of Evolutionary Biology and Challenger of the Myth of Creation, to find the person that lived behind all that. Not only do you cover his scientific work, but his home life – the death of his eldest daughter, his penchant for billiards – and his musings on the decision to marry: ‘a wife will be a vast help in organising notes.' Did you end up liking Darwin? Does it matter for the purposes of the project whether you like your subject or not? 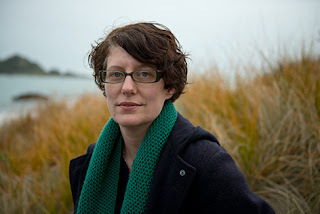 Yes, the scientific work is so much an integral part of the man it is inevitably present in many of the poems but as you say, it is the family man and his home life – as billiards enthusiast, as doting dad – that I particularly wanted to open up to view. In the process I did grow to like him very much. It feels almost as if we’re acquainted now, in some weird way. ‘Voyages’, the long poem sequence in which Darwin speaks and a 21st century speaker responds, is the closest I managed to get to holding a conversation with him. I’d got quite into it the idea of knowing him personally at that point. Of course I knew I couldn’t actually pull that off, but it was fun trying. I don’t believe you have to like your subject, but I think there has to be something about them that fascinates or intrigues you, something to sustain your interest. Much as I came to like and admire Darwin, in some of the poems he is represented in a less than flattering light and that’s as it should be – we’re none of us paragons of virtue and are all products of our time and society. What do you think a poetic project of Darwin’s work and life might offer over a straight biographical work? One thing I think a poetic project can offer is an imaginative (and by this I mean at least in part inventive) interpretation of a life. In the case of this project that meant employing biographic material in an attempt to consider, feel or experience what it might have been like to be Charles Darwin at particular moments in his life. Initially I was very concerned to not put words in Darwin’s mouth, but to allow him to speak for himself, so many of the poems I wrote earlier in the project integrate phrases lifted directly from his books and letters. The haiku, for example, were found with the aid of a haiku-seeking computer programme my brother kindly wrote for me, which I applied to an electronic text copy of On the Origin of Species. Mind you, I did have to trawl through a lot of very gnarly seventeen syllable phrases to unearth a few rare gems. However, as my research progressed I decided I needed to have the confidence to speak for Darwin at times or risk stalling the project. Very little is known, for instance, about his personal reaction to the death of his daughter Annie, who died – most likely of tuberculosis – aged ten. Darwin left very little written record of his thoughts about Annie after her loss and, according to his other children, he never spoke of her again, thus the poems concerning the traumatic aftermath of this event are not informed by a primary source from that time in his life. There are also poems from the points of view of Darwin’s contemporaries, whilst in others the speaker is essentially me, looking back at his life from my perch in the 21st century. There are a lot of children in your book – witnessing their sometimes crazy, hilarious minds – but also wanting peace from them, to get on with your work, like Darwin. How did so many children end up in your collection? Yes, I often wonder how Darwin managed his workload. He worked from home, and I’m sure must have found it difficult on sunny days to resist the temptation to head outside and join his children in the garden instead of once more hunkering down alone in his study, chipping away at the riddles of life on earth. For myself, I find having other people (also known as my family) milling around in, or near, my workspace (as I’ve taken to designating the dinner table) is not generally conducive to getting a lot done. Frankly, I believe the children in my poems just burrowed their way in – they would not be denied! My own two children are grown now but when I’m not writing I work at a primary school, so it feels inevitable and appropriate that the people I spend a significant part of my day with will occasionally infiltrate my poetry. Children often say the most outlandish things in the most interesting ways and have a talent for coming up with the greatest, most out-there ideas – perfect raw material for poetry. Cold Water Cure will be available for purchase from March 10 at good bookstores and through VUP's online bookstore. p/b, $25.